Looking for a unique botique hotel experience in Penang? 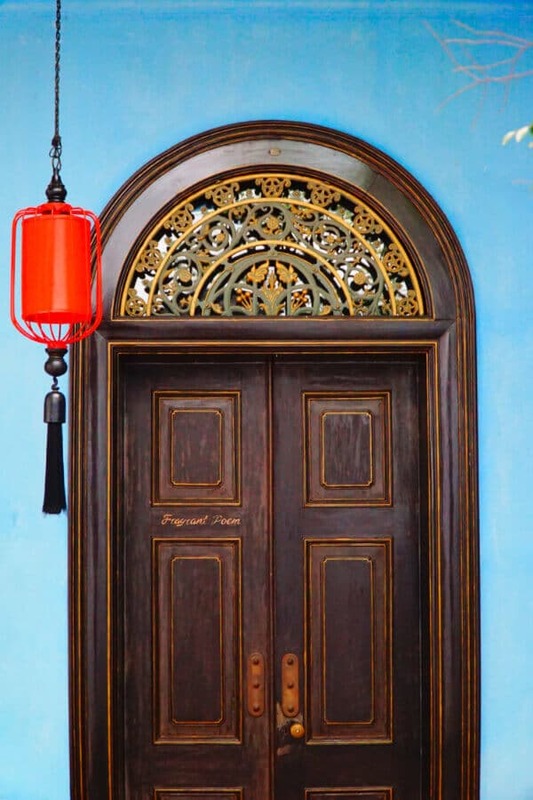 Well, you're in luck because Penang's Georgetown is home to perhaps the most fascinating heritage hotel in Malaysia: Cheong Fatt Tze's Blue Mansion. What makes the Blue Mansion so special? For one, it's a UNESCO World Heritage Site with fascinating history. And it's so gorgeous that several movies have been shot here (including a scene from Crazy Rich Asians!). Visiting it is one of the best things to do in Penang, but for a real treat you can book a night in the hotel and get a taste of what it felt like to live as a 19th century millionaire. 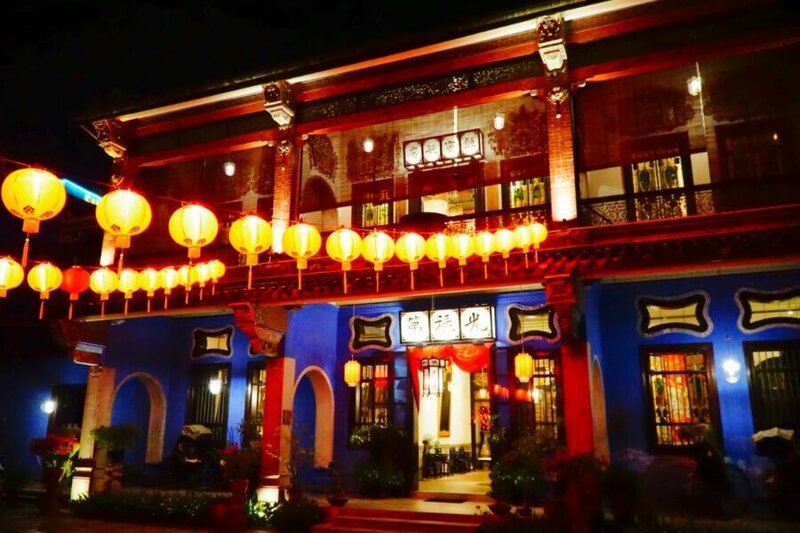 Read on to learn about the history of Cheong Fatt Tze's Blue Mansion and why it's one of the top places to stay in Penang! Disclosures: if you book a hotel in Penang through the affiliate links in this post, I may receive a commission. My stay at the Blue Mansion Penang was provided courtesy of the hotel. You probably didn't read about him in western textbooks as a kid, but Cheong Fatt Tze was one of the most influential men of his time. Born to a working class family in 1840, Cheong Fatt Tze's family migrated to Southeast Asia as a young adult to flee a war that was ravaging China. He opened a shop in Jakarta, Indonesia and gradually grew it into a business empire spanning the agricultural, industrial, and financial sectors. He eventually built several mansions across the region, but his favorite residence was Penang's Blue Mansion. He went on to become an economic adviser to the Empress of China and he's been referred to as China's first capitalist. Legend has it that he once bought an entire railway just to spite a conductor who had refused to allow him to sit in the first-class carriage on account of his race. The New York Times once dubbed him the "Rockefeller of the East." He had eight wives (a lucky number in Chinese culture), three of whom resided at the Blue Mansion in Penang. At the height of Cheong Fatt Tze's economic empire, the Blue Mansion served as the beating heart of Penang's Georgetown. He used it not only as a residence but also as an office, and considered it his most prized architectural achievement. Unfortunately, following his passing the Blue Mansion slowly fell into a depressing state of disrepair. At the same time, many historic buildings in Georgetown were facing destruction at the hands of encroaching developers. 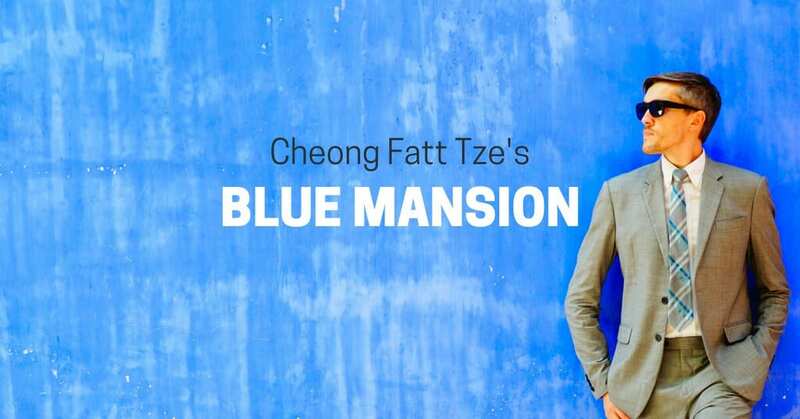 So in the late 1980s, a handful of local conservationists bought it and begun a six year project to restore and revitalize Cheong Fatt Tze's Blue Mansion. Funding was raised to fix up the dilapidated building, and local artists and artisans were employed to help re-create the fascinating artistic detail that adorned the mansion. To help fund the project, the Blue Mansion's rooms were eventually converted into a boutique hotel (more on that later). The project was a resounding success, culminating in recognition in 2000 by UNESCO. In fact, the folks behind the restoration are widely credited with having saved the entire Georgetown old town (which itself was awarded UNESCO status in 2008) from destruction! In fact, several famous movie scenes have been shot here, including scenes from the 1993 Oscar winner Indochine, the recently popular movie Crazy Rich Asians (it was the mahjong scene, in case you are wondering), and a 2009 Singaporean film entitled The Blue Mansion. There are 18 rooms, 5 courtyards, and 7 staircases. One of the front covers of Lonely Planet's Kuala Lumpur and Penang guidebook was shot here. The Blue Mansion was involved in litigation in the mid-1990s that is widely credited with helping to prevent the total development of Georgetown's old town. 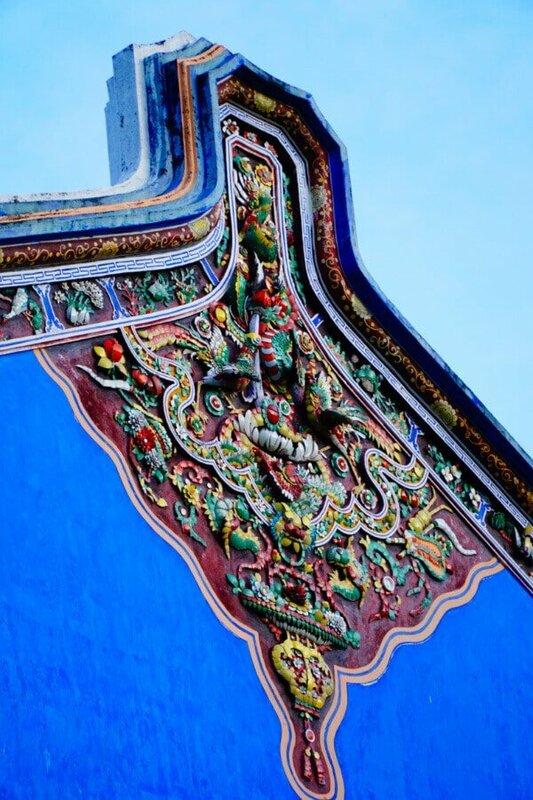 If you are visiting Penang, seeing Cheong Fatt Tze's Blue Mansion should be among your top things to do in Georgetown. The Blue Mansion runs daily tours at 11 am, 2 pm, and 3:30 pm. Tours last 45 minutes and cost 17 RM for adults online or 16 RM at the door. Booking online (which you can do here) helps secure your spot as tours can run out. 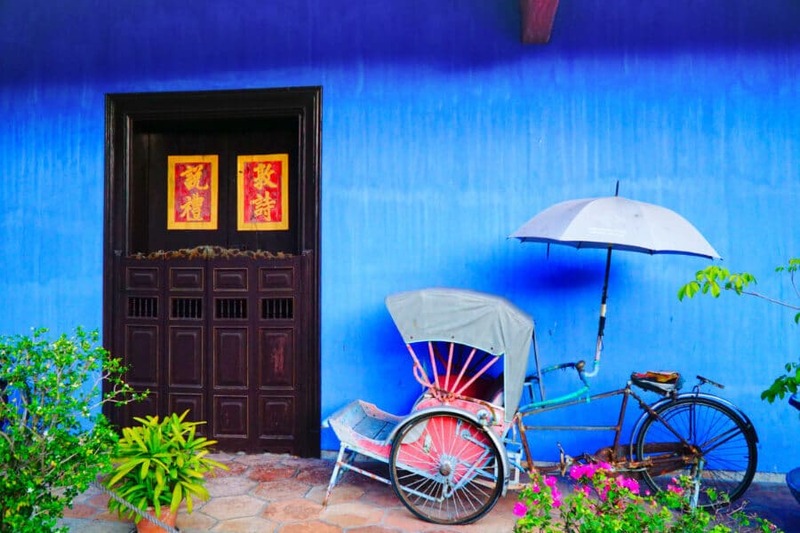 Getting to the Cheong Fatt Tze Blue Mansion in Penang is easy. If you are staying at a hotel in downtown Georgetown, you can simply walk (use the above Google map). Alternatively, download the Grab application on your phone. 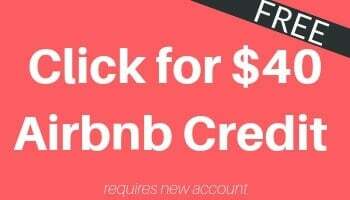 It works like Uber and you can pay with cash or credit card. Just enter the Blue Mansion's address - 14, Leith Street, George Town, 10200 - and order your car! The tours of the mansion last 45 minutes to an hour. 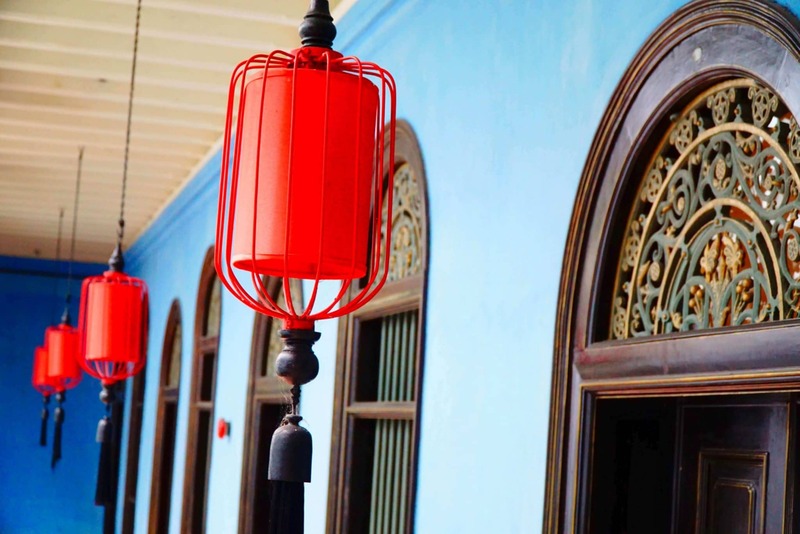 You'll walk through the mansion with an English speaking guide who will regale you with tales of Cheong Fatt Tze and the Blue Mansion's fascinating history and connections with Penang. Please do note that some parts of the mansion are only available to hotel guests (including the parts where I took the pictures of me, and the picture to the left). 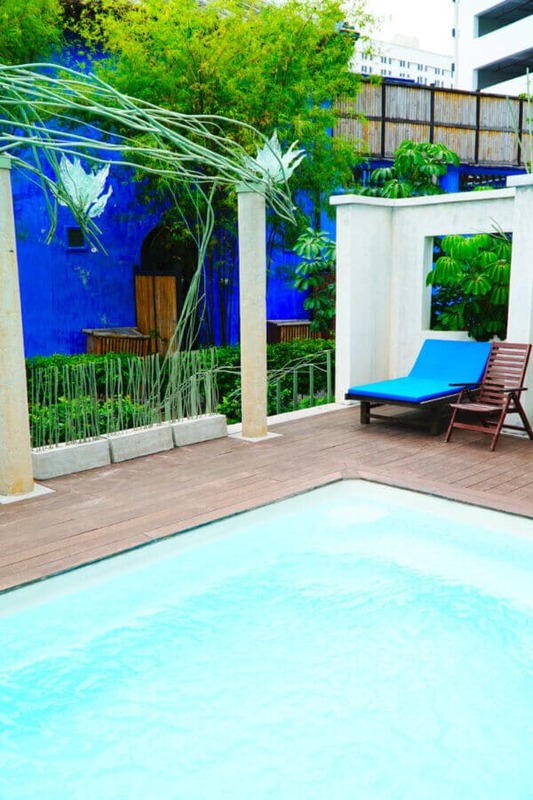 If you can swing it, the best way to experience Cheong Fatt Tze's Blue Mansion is to book a room and stay overnight as a guest. 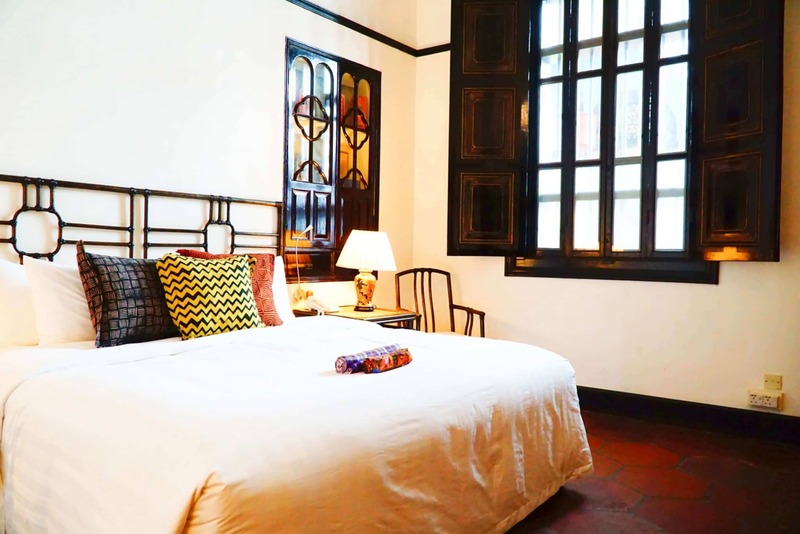 It's a wonderful boutique hotel in Penang, made all the more special by the fact that you're staying in a UNESCO World Heritage site and the home of a former economic titan. Best yet, your visit helps support the mansion's important conservation efforts! 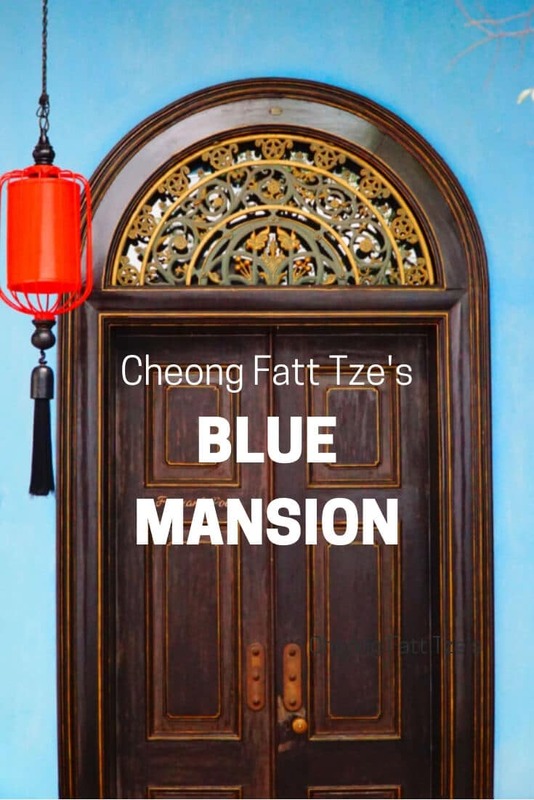 The Blue Mansion occupies a prime location in central Georgetown (do you really think Cheong Fatt Tze would've had it any other way? ), so you'll always be near the action. One note: that the hotel is adjacent to a hawker food center that plays music in the evenings. So don't expect total silence in your room. The noise isn't terrible and the mansion kindly provides ear plugs, but if you're a light sleeper you might request a room in the north wing. There's a third way to experience the Blue Mansion that you won't want to forget: dine in it's fabulous restaurant, Indigo @ The Blue Mansion. Indigo is a high end restaurant that serves up fare inspired by Cheong Fatt Tze's own mixture of the West and the East in a unique historic setting. Indigo serves both lunch and dinner, as well as special menus for events like Chinese New Year. Mains run from RM 60 - RM 120 ($15-30 USD). Reservations are required and can be made online, by calling +60 4-262 0006, or by downloading the Table App. Can't make dinner? Consider just swinging by for a drink at the hotel's fashionable bar! 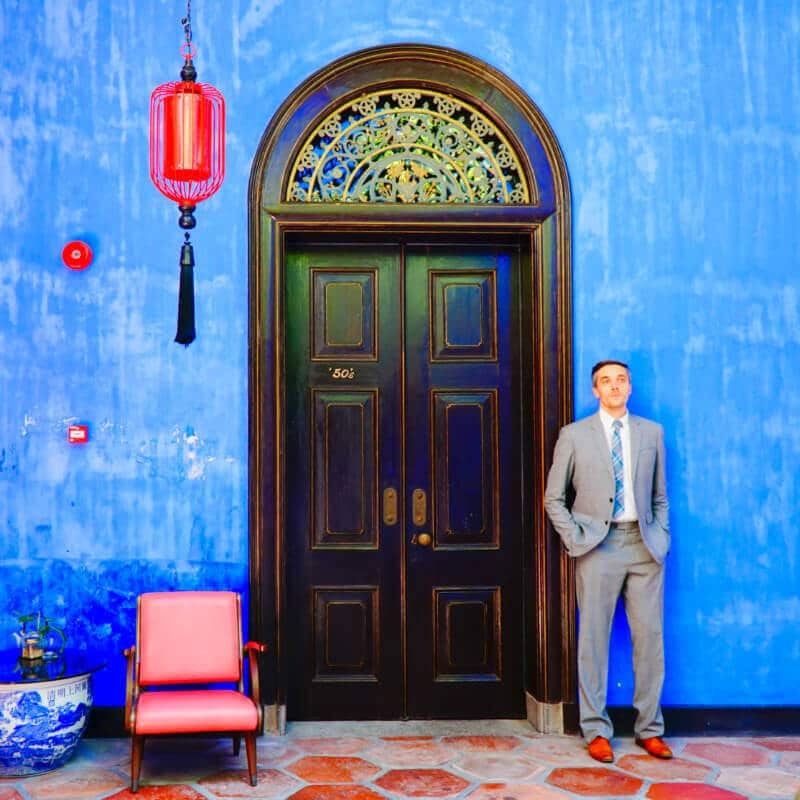 Staying in Cheong Fatt Tze's Blue Mansion was a unique and fascinating experience I'll never forget! It's definitely one of the best things to do in Penang, Malaysia, and one of the best places to stay in Penang. 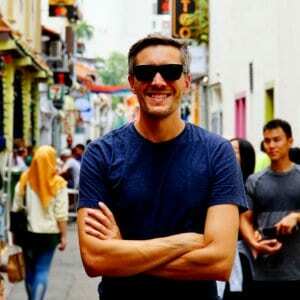 If you're headed to Malaysia, check out this trick for getting a free Lonely Planet Malaysia guidebook!